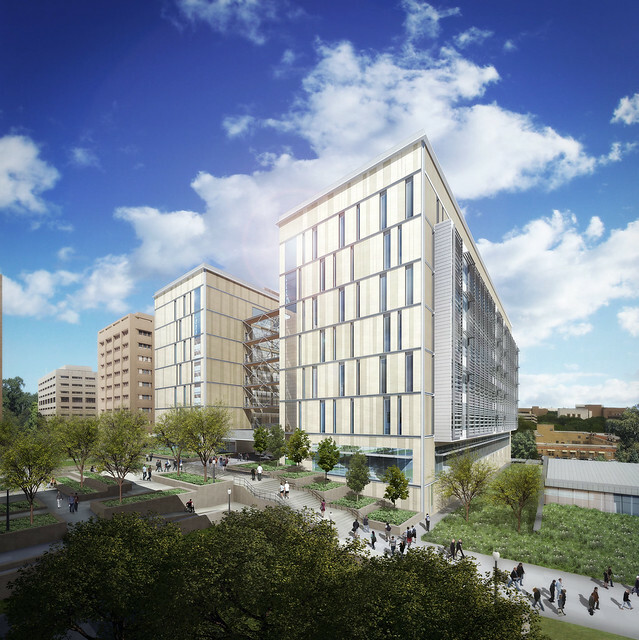 The Engineering Education and Research Center will replace and Engineering Sceinces Building and cost $310 million to construct. 1. No more stained, ugly ceiling tiles that look like someone spilled his or her coffee. 2. It will be bigger — much bigger. And, it will also ALWAYS have blue skies over it. Rendering courtesy of Cockrell School of Engineering. The Engineering Education and Research Center will be 430,000 square feet, which will make it the second largest academic building on campus behind Welch Hall. The Engineering Sciences Building is 208,642 square feet. 3. 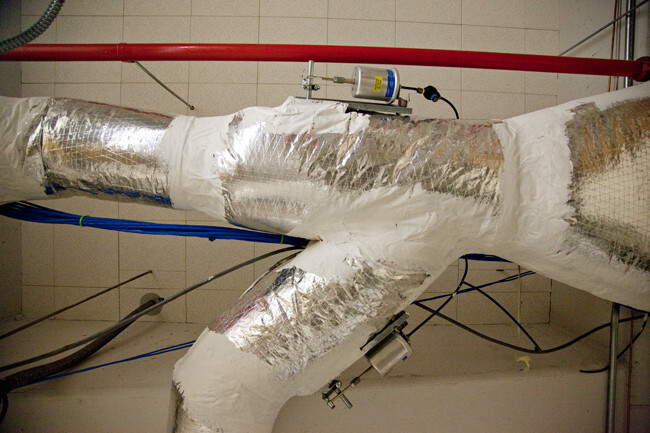 The Engineering Education and Research Center will have a functional air conditioning system. 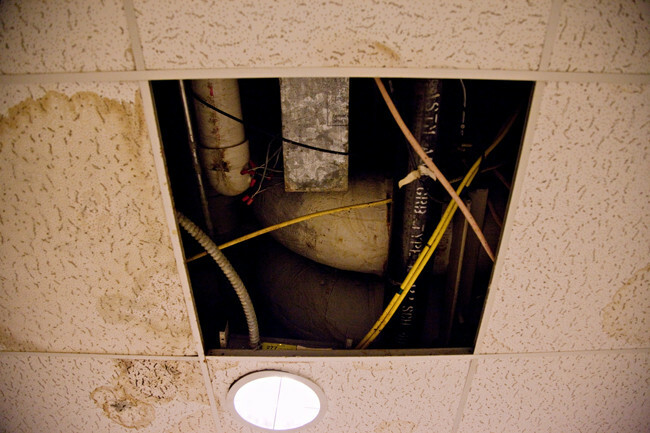 The Eningeering Sciences building’s air conditioning system is old and outdated, and is no longer sufficient for the number of people in the building. Elsewhere in the building, electrical fans are sometimes used to cool computer servers. 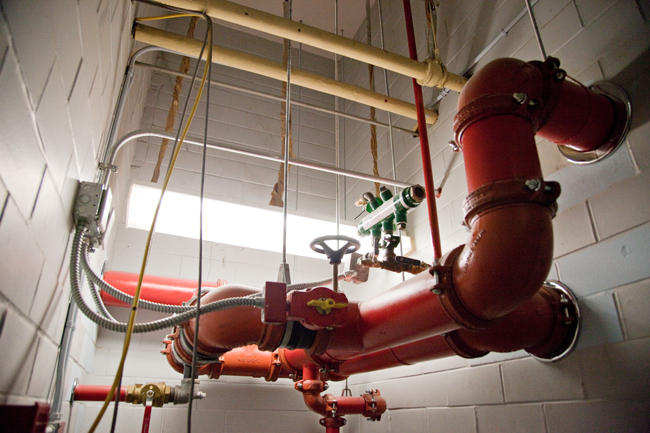 This past summer, smoke from the air conditioning system caused a building evacuation. 4. 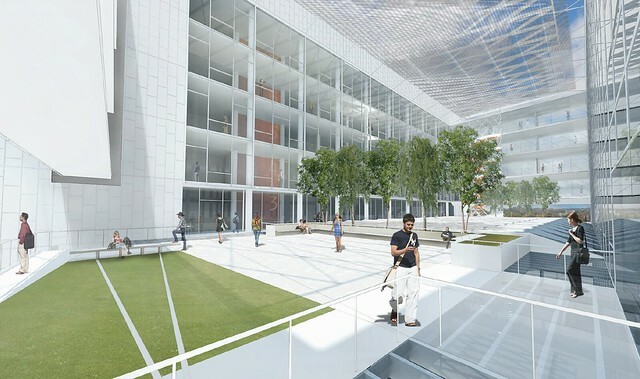 As well as feeling cooler, the Engineering Education and Research Center will look cooler. Like Silicon Valley cool. 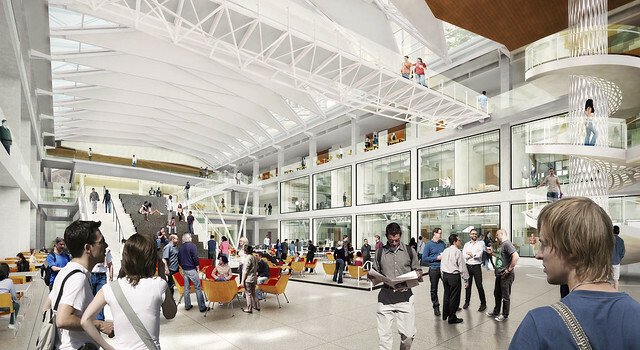 Rendering courtesy of the Cockrell School of Engineering. 5. Really tall people won't have to worry about hitting their heads on ceiling pipes. 6. Students will learn engineering by doing engineering, which will lead to everyone smiling. Engineering Dean Greg Fenves said the way engineering is taught has changed. Students now learn engineering hands-on. “[Our old buildings] were designed to teach students sitting in chairs that are bolted to the floor with a professor at the blackboard at the front,” Fenves said. 7. There will be space for entrepreneurship, and engineers will dress considerably better than students ever have before. Seriously — no one will wear sweatpants. 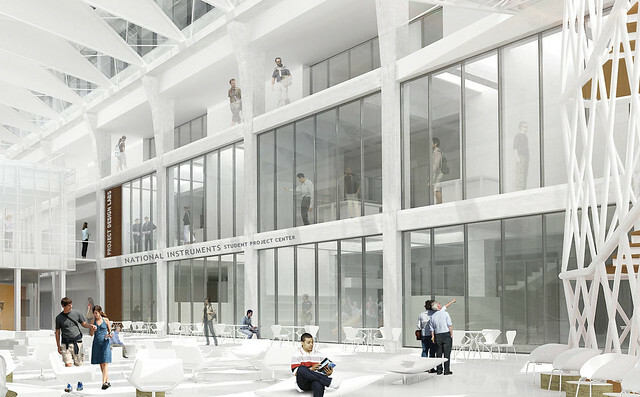 The centerpiece of the building will be the National Instruments Student Project Center, 23,000 square feet dedicated to student projects. 8. More space will mean more students who will speak to each other instead of Siri. When the new building is constructed, the Cockrell School of Engineering wants to add 1,000 students to the program — almost a 20 percent increase. 9. The Daily Texan has a in-depth story in Monday's edition, which tells you why the current Engineering Sciences Building is really, really bad, and why the future Engineering Education and Research Center is really, really awesome.